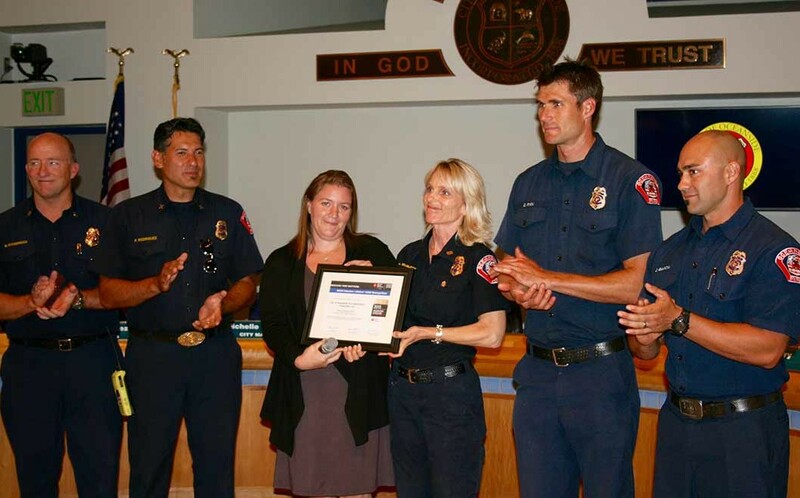 OCEANSIDE — The Oceanside Fire Department was recognized on Sept. 2 for providing a consistent, high level of care for patients suffering from heart attacks. The department received notice of the American Heart Association award earlier this year. Last Wednesday a formal recognition ceremony was held at the City Council meeting. The award honors two years of exceptional service. Measures of excellence include ensuring a victim of a severe heart attack receives in-hospital care within 90 minutes of first responder contact in the field. The American Heart Association developed national standards for first responders and hospitals to ensure consistent, high-quality patient care. Katie Kinney, American Heart Association regional director of quality and systems improvement, said the award validates that the fire department followed protocol and got patients to the hospital in a timely manner. When a heart attack occurs the heart does not receive enough oxygen, and minutes count. Lynne Seabloom, RN, EMT-P and fire department EMS manager, said quality care involves recognizing a heart attack, immediate intervention and expedient hospital admittance. To ensure top care, firefighter paramedics check a patient with a cardiac monitor in the field. Then they notify the receiving hospital and send test results while they treat the patient in transport. Advanced notification on the patient’s condition allows the hospital to ready a team of doctors and nurses, and reduces patient wait time. Seabloom said a half hour can be lopped off of the time it takes a patient who enters the hospital to receive treatment. A more streamlined patient admittance process also has the benefit of reducing wait time for firefighter paramedics, who stand by the patient until hospital doctors and nurses can continue care. This allows firefighter paramedics to get back to the field sooner and take on the next emergency call. Oceanside is the sole fire department in San Diego County to receive the gold level award. The Mission Lifetime Award has been given for two years. Since a requirement of the gold level is two years of high-level service, this is the first year it is available to be received. Nine fire departments in the state received the award. 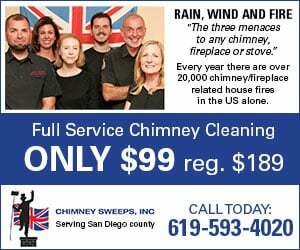 Last year Oceanside Fire Department received the silver level for its service, the highest possible level that year. The fire department works closely with TriCity Medical Center, which is the closest area hospital. TriCity received the silver award this year. Seabloom said the department plans to continue its feedback process with TriCity and ongoing training to maintain its high standard of care. Hospital feedback informs firefighter paramedics on the outcome of patients. Seabloom said feedback allows them to learn the impact of their efforts. Often the good news is a patient is discharged the next day. Seabloom urges everyone learn CPR, so care can start even before firefighter paramedics arrive. Seabloom also recommends patients call an ambulance if they think they are experiencing a heart attack. This allows them to receive immediate medical care and expedites the hospital admission process. The consequences for patients who do not receive immediate care are more extensive, possibly including irreversible heart damage.